Obama's former border patrol chief isn't the only Democrat who agrees that the situation at the border has become a crisis that demands immediate action to stop local governments and federal detention centers from being completely overburdened. Echoing talking points from President Trump, a bipartisan committee warned that a surge of migrant families at the Southwest border has become a crisis that is putting US security and the security of migrant children in "serious danger" and requires "emergency action", including spending billions of dollars by DHS and Congress. The report also recommended actions that foreign governments - ie Mexico - could take to stem the flow of migrants. Some of the recommendations included asking Congress to pass "several billion" dollars in emergency supplemental funding to build larger processing centers to better screen migrants and offer them medical services. They also recommended changing immigration laws to allow detention centers to hold migrants indefinitely, in order to expedite their asylum hearings - though this recommendation predictably provoked an outcry from pro-immigration groups. But those same advocates apparently overlooked the fact that these recommendations were intended to protect migrants and US border security: "Thousands of migrant children and the security of our country are in danger," Karen Tandy, head of the DEA under George W Bush, during a conference call. "The panel’s main idea is to eliminate all limits on putting children in prisons for years on end - it’s appalling," Scott Shuchart, a former DHS official, said in an email. "The recommendations are substantially ill-considered and reflect the same detain-and-enforce mindset that has gotten us into this mess." 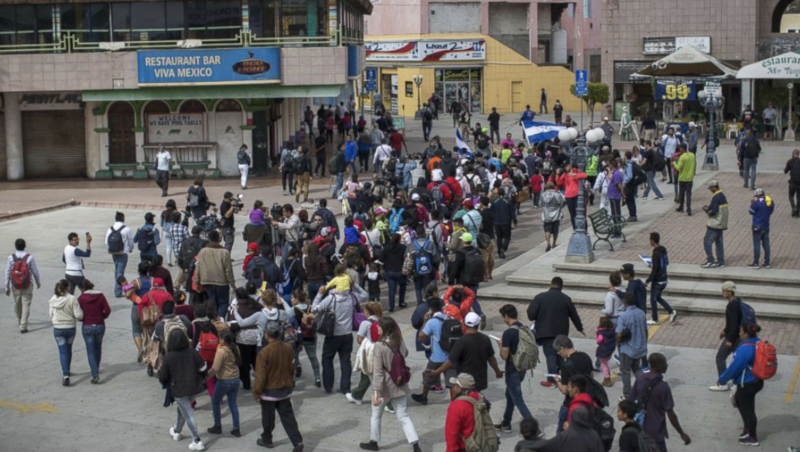 As the number of border crossings surged to a total of 92,607 last month, an unprecedented level, DHS directed hundreds of additional agents to the border to help deal with the crisis as local officials warned of a "system-wide collapse". With detention facilities overflowing, the administration has been forced to release more asylum seekers to await trail in the US. the administration's plan to alleviate the strain by releasing more migrants to await their hearings in Mexico was met with immediate court challenges, though, in a rare victory for the Trump administration, an appeals panel blocked an injunction handed down by a lower court to allow the policy to continue - for now. But as the Wall funds appropriated by Trump's national emergency declaration are beginning to be appropriated, we're hearing fewer and fewer Democrats complain about the border issue being a "made-up crisis."